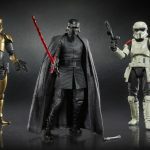 The post High Resolution Images of All Hasbro’s Star Wars Celebration Reveals appeared first on Star Wars News Net. Star Wars: Battlefront “Outer Rim” update! Rumor: Gina Rodriguez cast in Star Wars: Episode VIII?